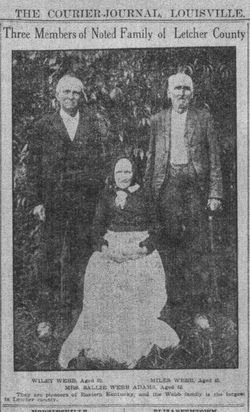 Three centuries before P.T. 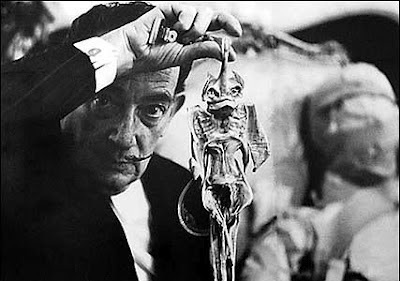 Barnum attracted flocks of crowds with his mummified Fiji Mermaid (which turned out to be a papier-mâché creation featuring a monkey's head and a fish's body), sailors around the world had already began manufacturing "mermaids". Known as Jenny Hanivers, these creations were often sold to tourists and provided sailors with an additional source of income. These mummified creatures were produced by drying, carving, and then varnishing the carcasses of fish belonging to the order rajiformes- a group of flattened cartilaginous fish related to the shark which includes stingrays and skates. 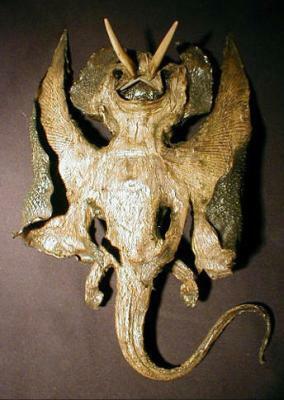 These preserved carcasses can be made to resemble mermaids, dragons, angels, demons, and other mythical creatures. Jenny Hanivers became popular in the mid-16th century, when sailors around the Antwerp docks began selling the novelties to tourists. This practice was so common in the Belgian city that it may have influenced the name; it is widely believed that "Jenny Haniver" is a corruption of the French phrase jeune d'Anvers (or "young person of Antwerp"). British seamen began calling the mermaid creatures Jenny Hanivers, and the name stuck. Although Jenny Hanivers can look quite realistic, it wasn't long until these creations were debunked. The first published explanation of Jenny Hanivers was written by Swiss naturalist Konrad Gesner in 1558. Gesner cautioned that these mermaids and demons were nothing more than dead, disfigured rays. 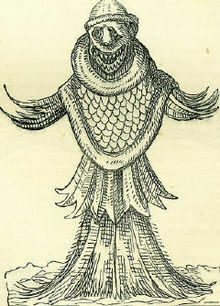 Nonetheless, Jenny Hanivers remained popular up until the 19th century, and some scholars were so convinced of the creature's authenticity that they believed it was a unique species of fish, which they called satanicus aquus, or "devil fish". Even today, some species of manta rays and eagle rays are known coloquially as "devilfish" (not to be confused with Inimicus didactylus, a venomous stonefish also known as the devilfish). As early as 1546, seafarers told tales of a mythical monster known as the sea monk, so called because of its alleged resemblance to a monk. Although some people believe the sea monk to be nothing more than a giant squid, one cannot overlook the resemblance between the sea monk and a Jenny Hanniver. In some parts of the world, Jenny Hanivers are still sold to tourists as souvenirs, but they are becoming an increasingly rare form of "folk art" due to conservation efforts. Rays and skates have very slow growth rates and, because they sexually mature later in life than most fish species, they also have low reproductive rates. The barndoor skate (Dipturus laevis), long popular with Jenny Haniver creators because of its large size, is now listed as endangered by the World Conservation Union. Other species such as the bottlenose skate, the spotback skate, and Maltese ray, are on Greenpeace International's seafood red list. Mysterious Creature Discovered in Pennsylvania!